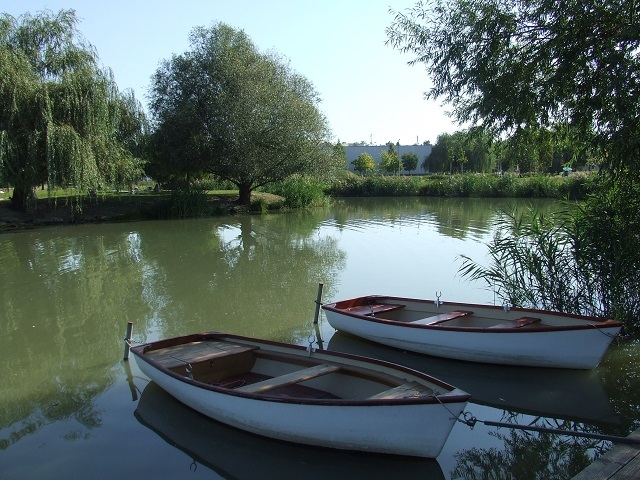 Tranquility and recreation awaits visitors at the public gardens just 10 minutes from the centre. The Mill-lake and its surroundings is a popular recreational area. On the bronze leaves of Gera Katalin sculptor’s work „Tree of Life” you can read the names of children born in Kaposvár. Next to the memorial column of our Olympic Games participants we can also visit the memorial stones of the martyrs of Arad. The park is an ideal venue for sports activities. You may test your abilities ont he running circle, the roller skate park, the street ball field and ont he parkour field. The Lake Deseda was created by damming a stream in 1975. Lake Deseda is situated in the outskirts of Kaposvár. 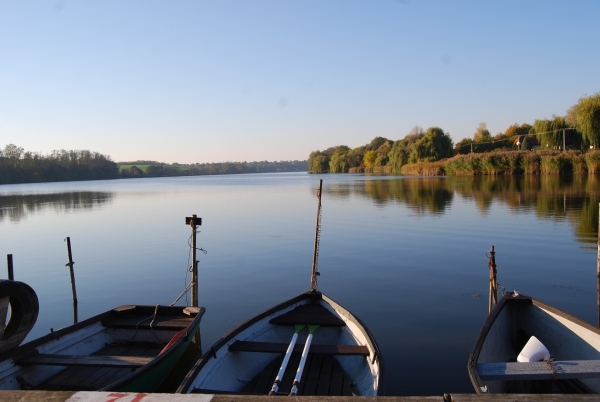 It is 8 kms long and bordered with woods : this is a perfect place for both hikers and lovers of water sports . The beach in Toponár is mostly visited by young people who are fond of sports and the beach , while the other side of the lake is visited by the older generation who seek peace and quiet. The fish stock including real native Hungarian species has made the lake a popular and acknowledged fishing paradise. The visitor centre offers further attractions to visitors. They can observe the avifauna of Deseda through a ’detective glass’ from the birdwatch lodge, they can meet the most common dragon-fly species at the dragonfly house, and at the frog and turtle lurk-ing place they can observe these small tenants of the lake in their natural environment. 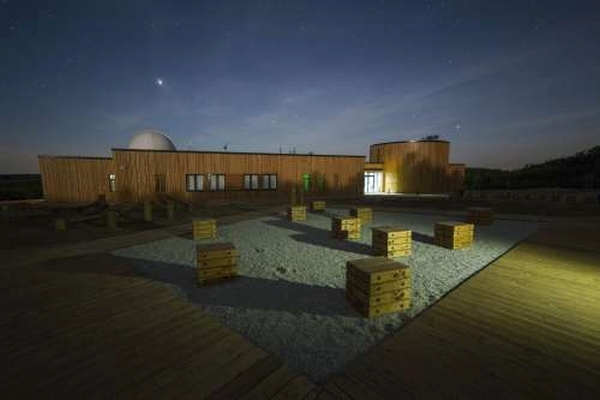 The park, offering learning and recreation at the same time, is an excellent destination for school groups. 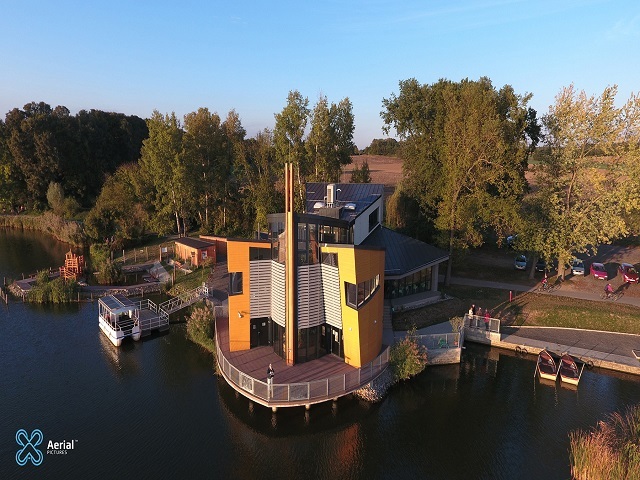 The visitor centre has also got an environment friendly, electric pleasure boat and a rent a boat and bike service. On the cycle path built around the lake cyclists can enjoy a wonderful . two-hour bicycle tour. 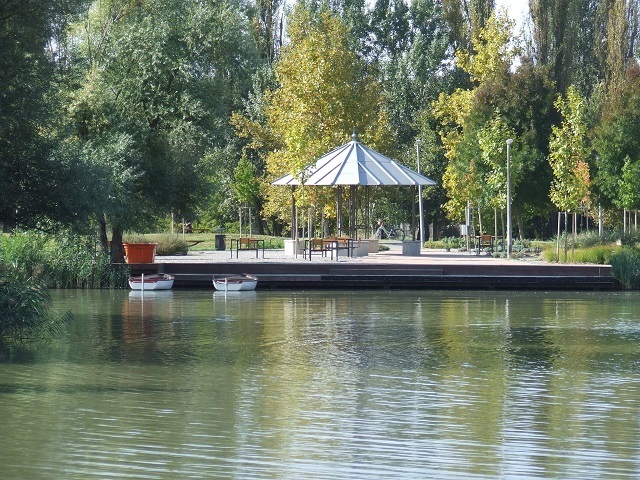 The arboretum of Deseda reaches into the lake as a peninsula. Its terrain and agricultural conditions are exceedingly diversified. It has a surface of 26 hectars. There was an acacia forest at the place of the present. – day arboretum , the planting began in1978. It was opened to public in 2003. Waters managed by this association are Lake Töröcske, Lake Deseda and River Kapos. The association office issues permits for fishing in the above locations, as well as for Lake Balaton. You can find more information about type of fish in these waters , conditions of fishing and prices on our website. The Zselic hills are a generous gift of nature. The gently flowing springs and brooks int he woods, the lakes and ponds hidden in valleys and small villages have an innocent beauty int he eyes of visitors. The most untouched part of the Zselic – almost 9000 hectares – has been a nature conservation area since 1976, being home to various species of protected plants and animals. Visitors can go for a short walk or for a long hike along the footpaths int he Zselic. On a walking tour you can rest in a hunting lodge, at a fishing-place or in a shelter-hut. You can taste delicious meals in a restaurant or cook on an open fire. If you feel like riding a bicycle , you can ramble over the whole region. 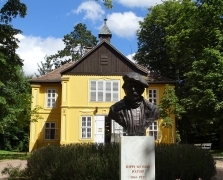 The Open Air Ethnographic Museum – the first to be awarded the Europa Nostra prize in Hungary – is situated in Szenna, 7 kms from Kaposvár. This collection of half-timbered, settled homes and farm-buildings from the area of Inner-Somogy and Zselic as articles for personal use depict the life of Somogy peasants int he 19 th century. The Calvinist Church , built in Baroque style in 1785 boasts a painted panelled ceiling and is one of Hungray’s most beautiful historic buildings. Visitors of the village museum will get an insight into folk customs and handicraft traditions. Ladybug Farm is a real adventure paradise, providing excellent recreation, education and adventure throughout the year to all ages. 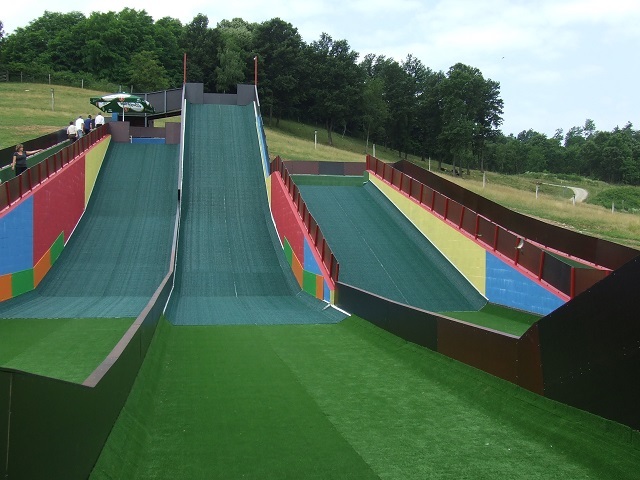 Among the numerous indoor and outdoor facilities we must highlight the giant indoor freefall and family slides, as well as the multistorey kid’s playhouse and adult’s labyrinth; these slides are the largest constructions of such across Central Europe. We offer free-time and professional activities for groups or individuals in our Game Farmin the middle of the hilly Zselic area. 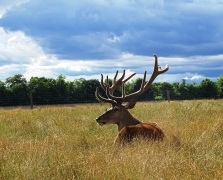 You may pet deer here, admire our trophy collection or observe the deer from a horse carriage or a tractor. We can also organize professional meetings at an agreed date. We are waiting all those who like horses and equestrian programmes, and have a special attraction towards cold blooded Hungarian horses. You can try horse-riding here (absolute beginners as well) or travel in horse-draen carriages int he wonderful Zselic area. 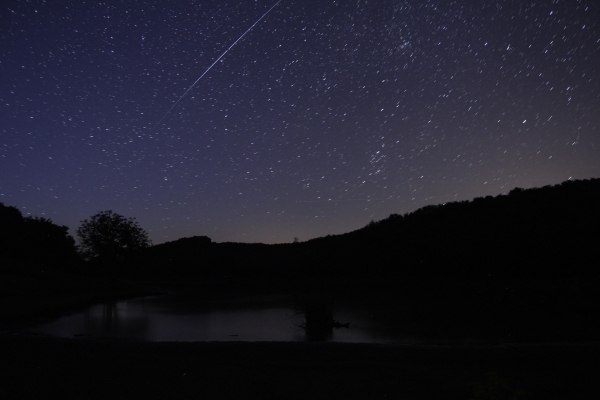 Park of Stars is only a few kilometers from Kaposvár. 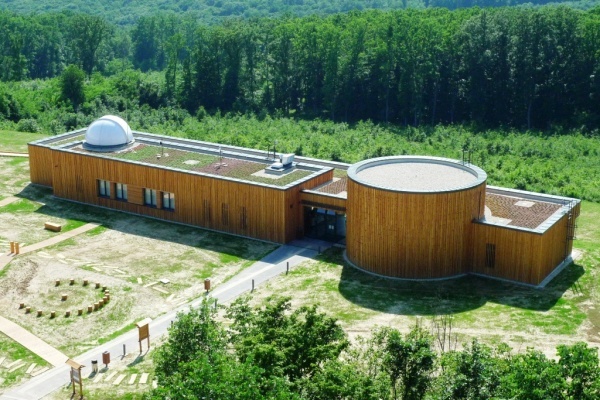 Here you can take part in telescope demostrations, planetarium shows, you can admire our meteorite exhibition as well as our exhibition displaying the flora and fauna of the forests of Somogy county. We organize programmes for children and day or night tours. The 25-meter tall viewing platform offers a unique view to the Zselic area. The building complex and the 8 hikings trails suitable for both cycling and walking. Together with the 5 resting points and the surroundings of Lake Ropolyi offer recreation to the visitor s for a whole day.